The restaurant has always had home-style meals (comfort food) reminiscent of mom’s cooking on the menus. And often you can use combinations of seasonings, sauces, butters and even alcohol to enhance traditional foods. This is one of those recipes. 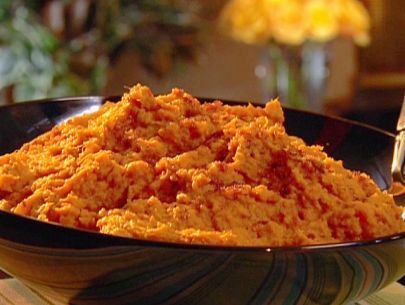 These bourbon mashed potatoes will be a star component of your fabulous meal. But you can use this vegetable in many different ways. Use them as a flavorful base for soups and sauces. Have you ever tried spiced fries cut from this vegetable? How about as an appetizer, especially with certain dips? Consider whipping flavored sautéed leeks and mushrooms with these potatoes. The possibilities are endless. And they are an excellent source of vitamins and fiber. Preparation time: 1 hour. Servings: 4. Don't miss the restaurant recipe for these potatoes using rum as a different flavor enhancer! Click here to have a look. I also love to grill vegetables using a variety of spices, sauces and rubs. 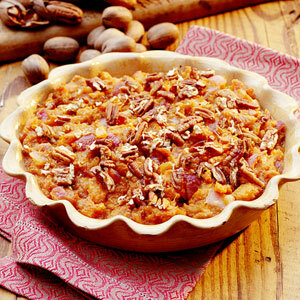 ENJOY your Bourbon Mashed Potatoes and the company of those you share it with! Did you know? 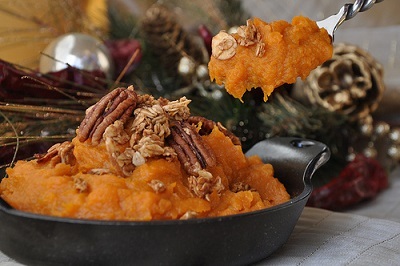 Orange-fleshed sweet potatoes may be one of nature's unsurpassed sources of beta-carotene. 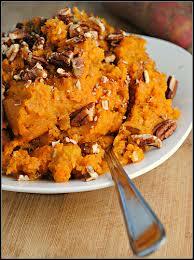 Several recent studies have shown the superior ability of sweet potatoes to raise our blood levels of vitamin A. Sweet potatoes are not always orange-fleshed on the inside but can also be a spectacular purple color. The purple-fleshed sweet potato have important antioxidant properties and anti-inflammatory properties. Particularly when passing through our digestive tract, they may be able to lower the potential health risk posed by heavy metals and oxygen radicals.